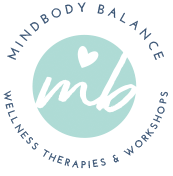 MindBody Balance offers an Aromatherapy Product line, aromatherapy consultations & Aromatic Lymphatic Massage for supporting your health & wellness. The aromatic lymphatic treatment is a full body massage using a special formulated blend of therapeutic essential oils specific to the client’s health priorities. The health benefits are bountiful as it improves the function of the lymphatic system, eliminating the build up of toxins in the body that can lead to fatigue, chronic pain, headaches, inflammation, edema, swelling and more. The treatment also helps to improve circulation and overall balance in the body and its’ systems. Watch this video to learn the differences between diffusing and topical application. Aromatherapy is the enhancement of body, mind and spirit with therapeutic, aromatic, botanically defined essential oils. Oils are readily absorbed through the skin or when inhaled they affect the brain and its release of neuro-chemicals to improve and support your health & wellness. They can be used to relax, calm, soothe, and support all of your body’s systems as the essential oil is the chemical that’s extracted from the plant that helps the plant with its defense mechanisms, protecting the plant from microbes, disease, and foreign invaders. The anti-bacterial, anti-microbic, anti-fungal, and anti-viral properties of essential oils make them powerful in supporting and maintaining good health as they attack germs, but do not damage tissues. Download a FREE PDF of the most popular oils and their household uses.